The blue blur at his very best. It's no secret that, as a gaming icon, Sonic the Hedgehog is not what he once was. Way back when, Sega's flagship mascot (and answer to Super Mario) was arguably the hottest thing in gaming. His design was fairly simple yet effective, he had personality, and his 2D side-scrolling games were incredibly fun. However, after the Sonic franchise made the jump to 3D, things started to go downhill. That's not to say that all 3D Sonic games are bad, mind you. Sonic Colors was absolutely fantastic, Generations is arguably the best Sega game of the last decade, and Sonic Adventure 2, while very flawed, did have some great things to offer. 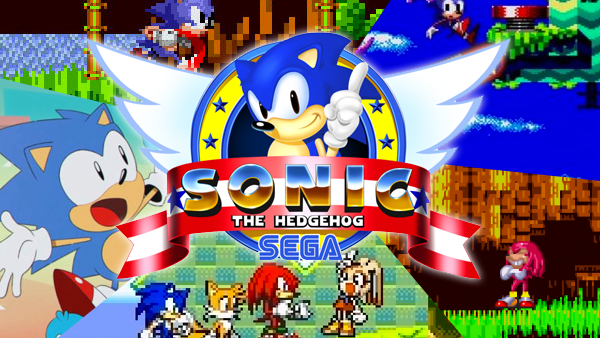 With that said, though, it's hard to argue that Sonic as a franchise was never better than when the games were all 2D. After all, the 3D Sonic games have ranged anywhere from incredible to abysmal. Meanwhile, while not every 2D Sonic title is a masterpiece, almost none of these games are objectively bad. So, let's take a look at the renowned side-scrolling adventures of everyone's favorite blue hedgehog, and decide which of his outings are the best of the best.